Groupon special edition overstock. Rolled or Framed. 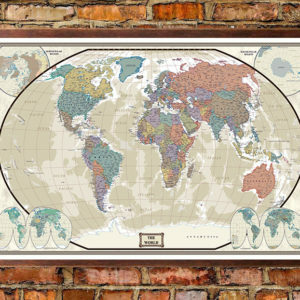 Take advantage of these rare canvas world maps at big discounts! 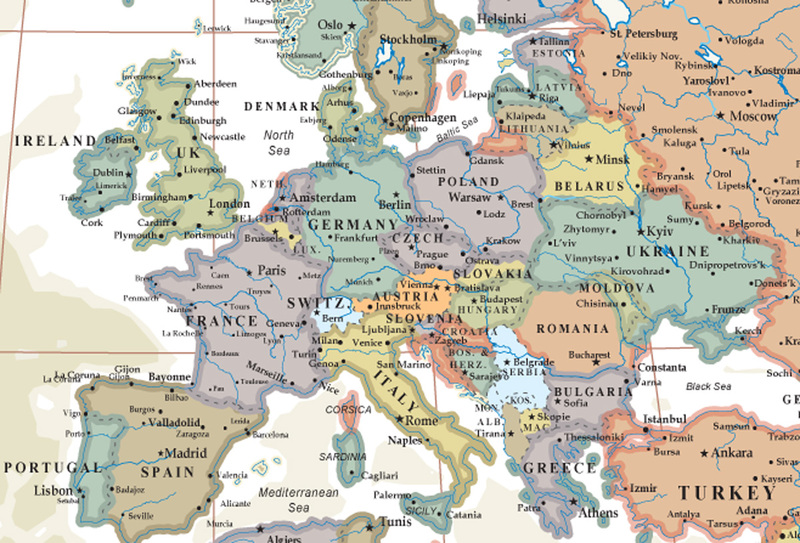 Swiftmaps.com presents this amazingly earth toned shaded political world wall map which has become one of our top selling world maps with its distinct colors and decorative tan/earth tone ocean contours. 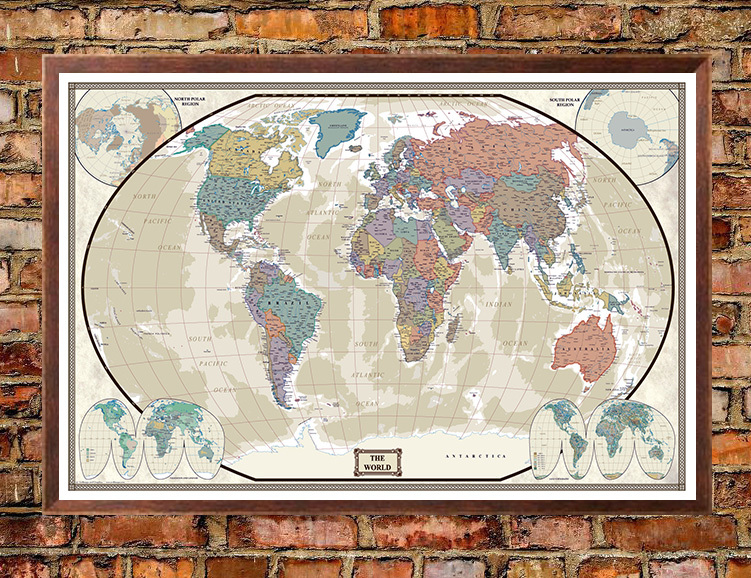 The colors are a hit in this new world map series, and unlike any other wall map you will see. This map is brand new, current and politically up to date. The production and cartography of this map was put together with some of the best mapmakers in the this country. This map will make an awesome impression on your home, office or boardroom wall with the new elegant ocean tones! If you want the best world wall map in print…this map is for you! This special edition offer is giclee printed on museum grade quality cotton canvas. We use 100 year UV inks to produce our canvas maps. Maps on canvas create a truly remarkable piece of art. This special canvas map edition is available rolled/shipped in a tube or wood framed. 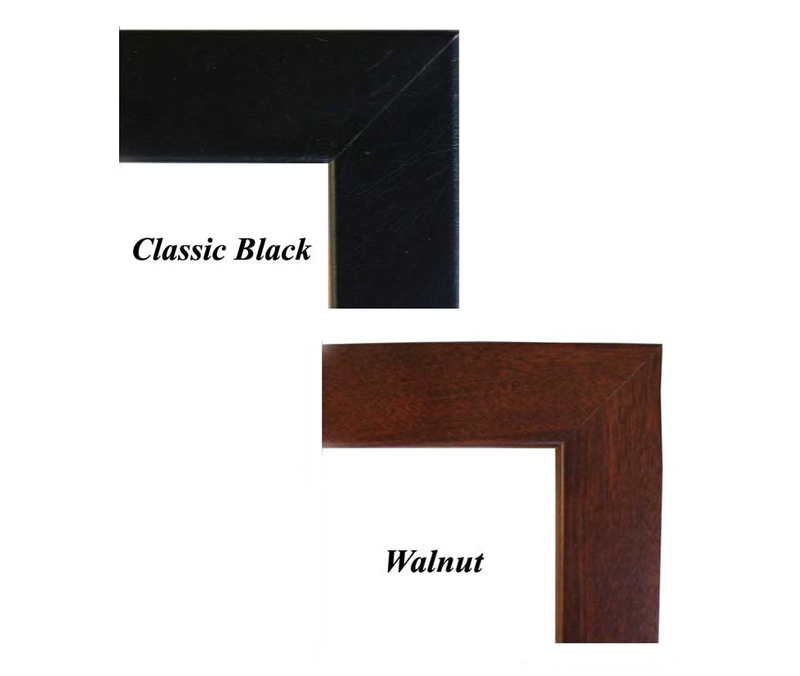 See framing details below!